I love Oli. It used to be a catolouge and website, but they have recently got rid of the catalouge to concentrate online. They send out a little magazine to anyone on their mailing list, which is quite fun to read over breakfast! Just got mine this morning so I thought I would do an Oli themed post. One of the best things about them is their Fusion ranges, with designers including PPQ and Jasmine Guiness. It's designer clothes at reasonable prices and you've got to love that! 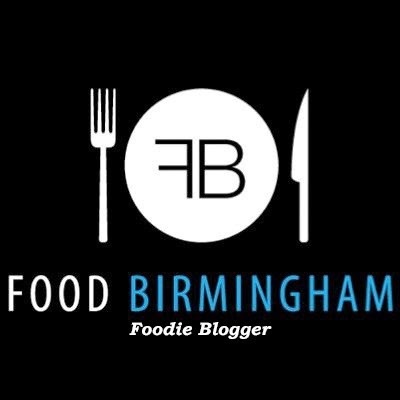 There's a great range of shoes, lots of famous brands, and fusion ranges. I got my stripy sundress from there and it fits really nicely. 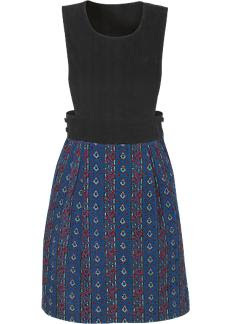 I'm eyeing up some of the PPQ stuff at the moment, especially the pinafore above. It's really cute and £65, which isn't that bad if you consider it's a designer dress. 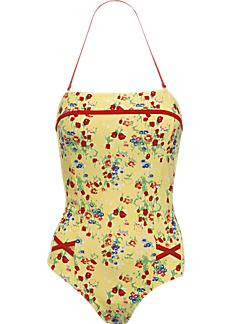 Jasmine Guiness has designed some lovely retro clothes, including the cute swimming costume. I love it so much and was intending on buying it for my hols but I don't think I'll have the pennies. Very annoying. 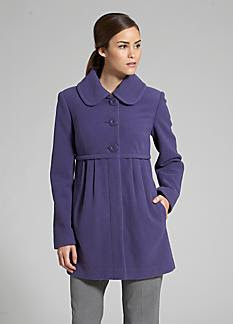 I've been keeping an eye out for a purple coat for winter, and the one above is cute, and a reasonable £60. Gotta love Oli.